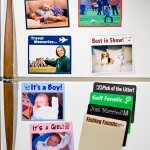 We’re excited to offer a full line of photo holders that feature popular sayings for displaying standard 4″ x 6″ photos on refrigerators (or other magnetic receptive surfaces) using a flexible magnetic strip. 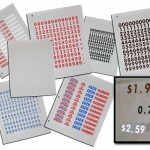 Adhesive price points used on signs, displays and menu boards can easily be customized and changed. Instead of buying an entire new POP display, menu board or advertisement piece to change pricing, just use our customizable price labels! 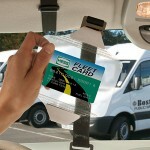 The Fleet Gas Card VisorWallet™ is specially designed for fleets to eliminate the need for screws, adhesives, and permanently mounting gas card holders which can damage vehicles.